Happy hump day! This has been the longest month of my life, I feel like! But hopefully after today, or at least, this weekend, things will go back to normalcy and I can feel like myself again! But, enough about my hectic schedule! I am excited to do another collaboration with Shawna Leeann! You can see our first collabo here. For round 2, we decided to find one piece, pick the color we each loved the most, and style it. 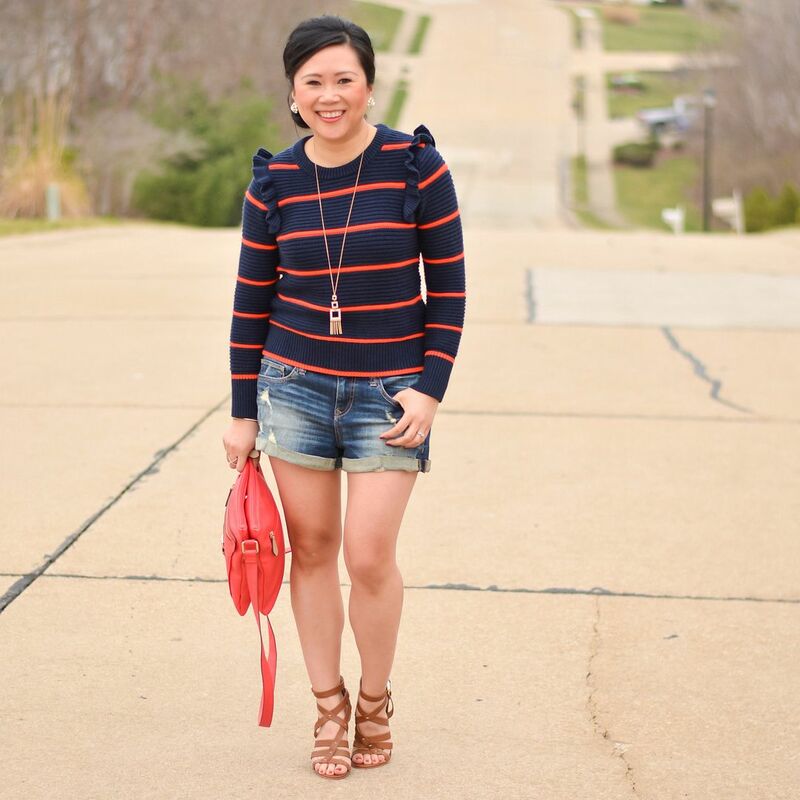 As you can see, we both had the same idea of pairing it with shorts for a perfect transitional outfit into spring. 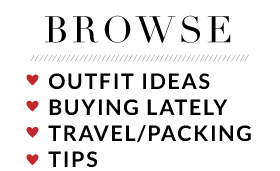 I loved seeing these next to each other because it really gives you something to chew on whether you are looking for neutral or more bold inspiration. I couldn't resist putting my hair completely up with this sweater so you can fully appreciate the ruffle detail at the shoulders. It's pretty darling, and I never use the word "darling." If you are interested in it, I am wearing a small, which is my normal size at Banana Republic. These shorts are going to be on serious repeat this summer. I bought a pair last year or two years ago from Express and could not get enough of them! I figured I needed a second pair to carry the load! These shorts are pretty low slung on my hips because I normally size up in shorts. Otherwise they end up being suuuuuper short thanks to my high waisted torso, so the proportions just look a bit better when the shorts hang a little lower on my hips. Not much else to add today! 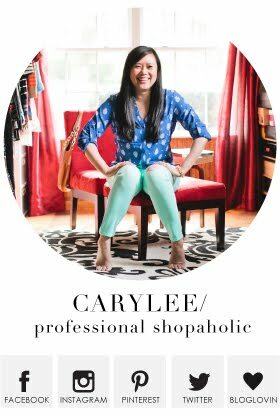 I'm still in Dallas as I write this - I'll be sure to fill you in a little bit on how this conference went on Friday when I share everything I wore. My day was cut a little early today, which was a nice surprise because I think I really needed some down time to recharge a bit. Though, on Monday night, I ended up meeting one of my good friends from high school for dinner along with this wife. I swear my cheeks hurt from smiling so much. They have the best stories and I could listen to them talk all night. Oh, yes, before I go! I'm guest posting over at Kate's blog today. I hope you'll pop over there and check it out! 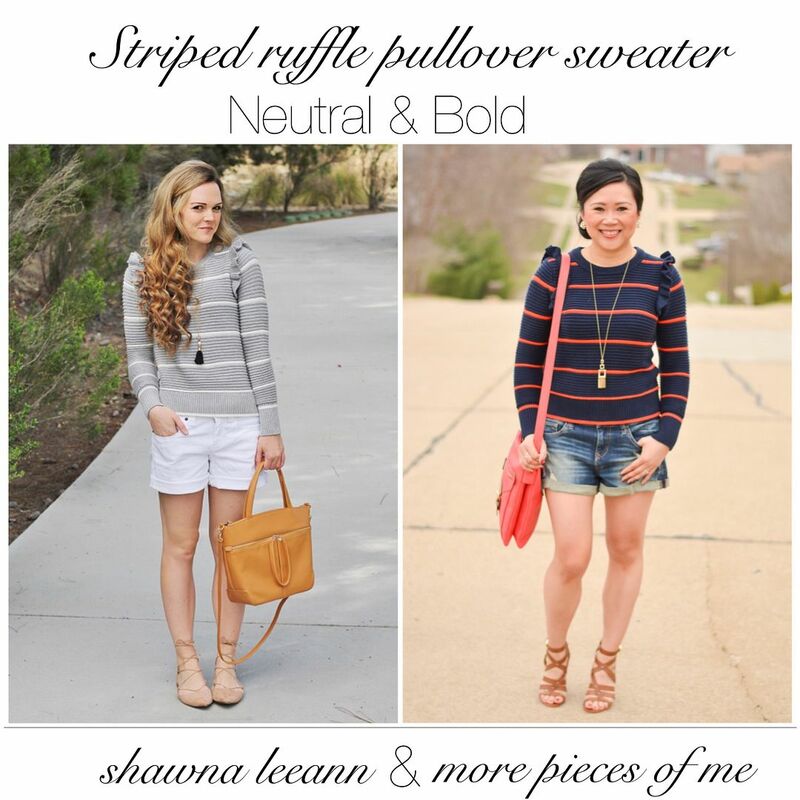 And be sure to check out Shawna Leeann's post here to get all the deets on her outfit! I think I need her bag!!! 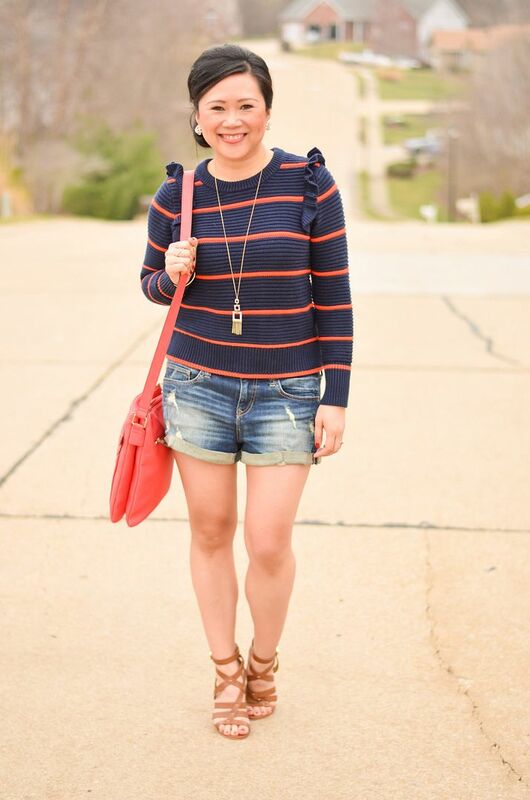 This sweater is so fun, love it paired with shorts. 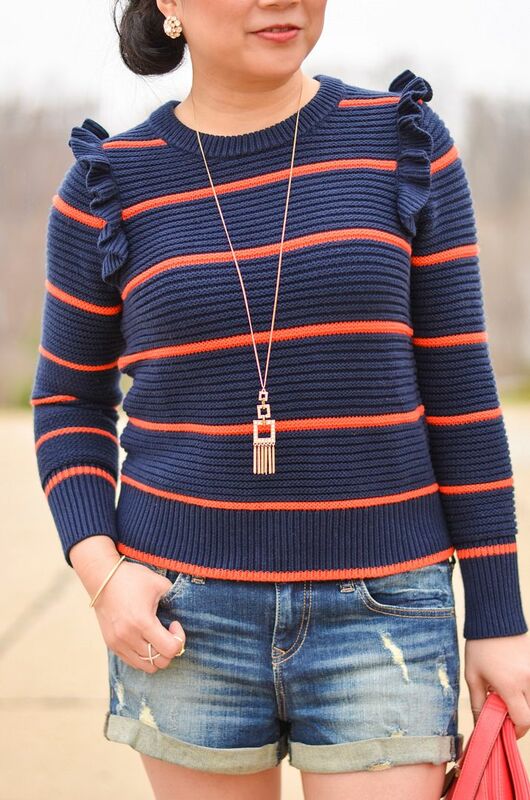 I love the unique ruffle detail of this sweater! This outfits makes me so excited for summer and shorts again! And sandals full time! Boo for them not having my size left in those sandals. LOL. Your conference looks interesting and inspiring so I'm excited to hear more about it! Ah how cute is that sweater!! Absolutely love it girl! 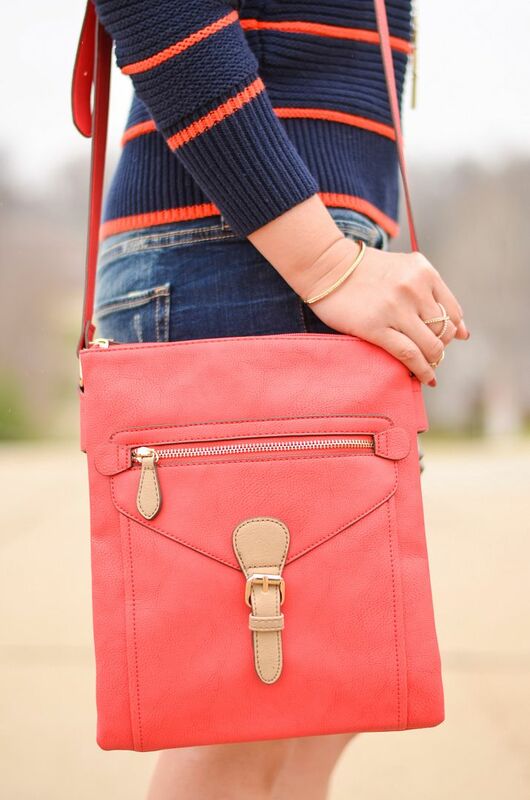 Such a cute look for spring!